The Barcelona taxis are black and yellow, plentiful and easy to get. They are the way to go when the transport network is closed or when you wish to save precious time to get to your destination. Taxis are also very demanded for trips to El Prat Airport. On working days (8:00 to 20:00). The minimum fare is 2,15€. The price by Kilometer is 1,13€. Keeping the taxi waiting for one hour it will cost 22,10€. On working days (20:00 to 8:00, Saturdays, Sundays and holidays). The minimum fare stays the same but the price by kilometer increases to 1,30€ and one hour wait 21,70€. If you take the taxi from the Airport or Train station the minimun fare rises to 3,10€ (from Terminal 1 and 3,40€ from Terminal 2). The minimum fare for the whole ride is 20€. Depending on the case the Taxi will apply an extra charge on the fare. If you’re carrying suitcases, an extra charge of 1€ is applied for each piece of luggage. On special holidays such as Christmas or New Year’s Eve, an extra charge of 3,10€ is applied (on top of the minimun fare). All taxis are able (and obliged if asked) to handle receipts to the costumer, this is important if you need to contact the driver in the future in case you leave an item in the car. Any additional fee (toll for example) will be payed by the customer. 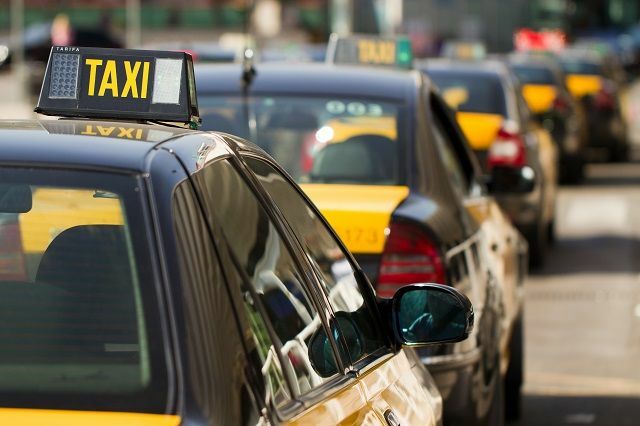 In the past, there were times when it was difficult finding a taxi on special occasions like football matches at Camp Nou or big music events. Nowadays, the mobile apps for taxis have changed the rules of the game radically and it’s quite fast to find a taxi at anytime or anywhere. Plus, since the Metro is working non stop all Saturday nights, this no longer represents a problem. On many popular or touristic places there are taxis waiting in line, such as Plaza Cataluña, Sagrada Familia or the airport. Use Google Maps as a good way of knowing if the taxi is trying to drive you around. It’s been reported that some drivers do this in order to increase the taxi fare. Other scams include the taxi driver demanding the passengers to pay each one the amount of the final rate. Don’t comply to this! You can always make a formal complaint and ask for the license number and registration plate. Feel free to call the police if necessary. Tips are welcomed, however the practice is not common in Barcelona, so it’s OK if you don’t tip the driver.